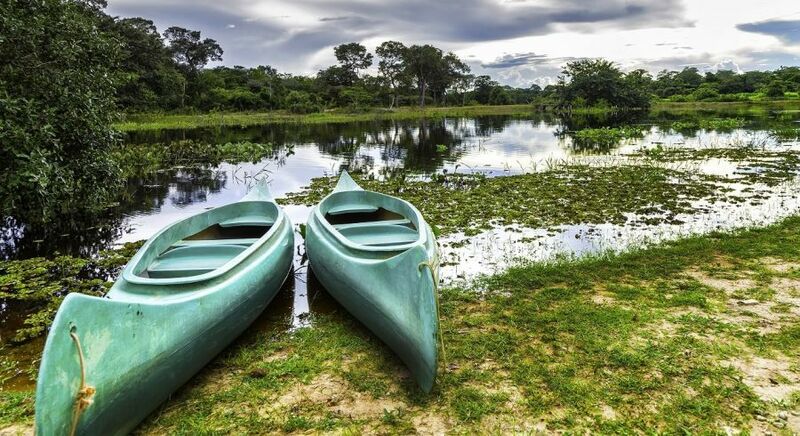 On your Brazil Tour, plan a stop in Pantanal North. A true paradise for nature lovers and those with an adventurous spirit, be prepared for an enchanting encounter with nature’s untouched beauty. The Pantanal is the world’s largest tropical wetland area. With an area approximately the size of 210,000 km² it roughly equals the size of Idaho. Mostly set within Brazil, the area expands into parts of Bolivia and Paraguay. In 2000, it was declared a UNESCO Natural World Heritage Site. Each day brings a new adventure: Be it on foot, on a kayak or on the back of a horse – the outstanding biodiversity of the region can be experienced from multiple perspectives. 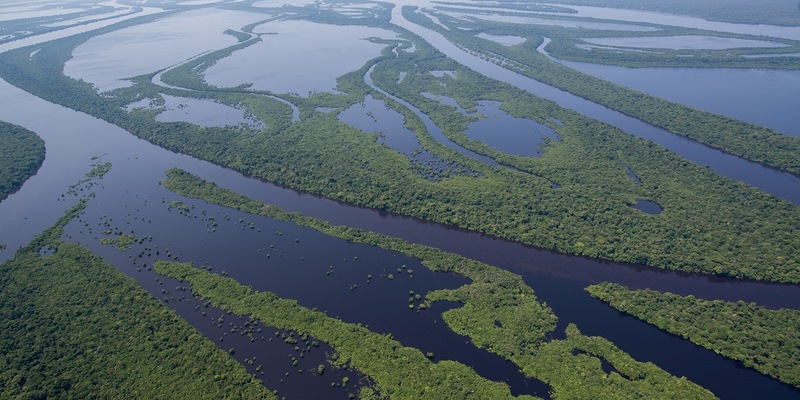 The name Pantanal is derived from the portuguese word pântano, meaning swamp or marsh. Yet calling this vast region a swampland would not do justice to this diverse ecosystem. It is a complex mosaic of unfolding landscapes: dense woods and sap green jungle alternate with steppes, savannahs and flooded areas. 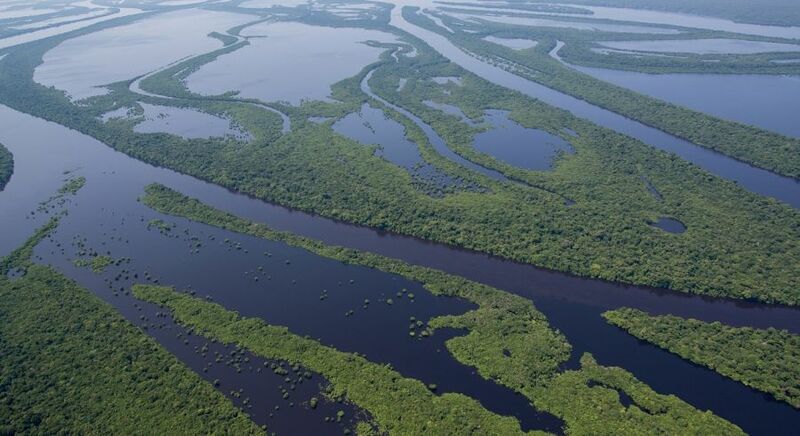 Water is the key element in the Pantanal: because of its coming and going the landscape is in constant change. After the heavy rains, the landscape is glorified with rivers, lagoons and bays that reflect the setting sun, before the night skies are illuminated by stars. The floods reach their peak by the end of April, which marks the beginning of the dry season. Nature blooms. The animal kingdom breathes with fervor. 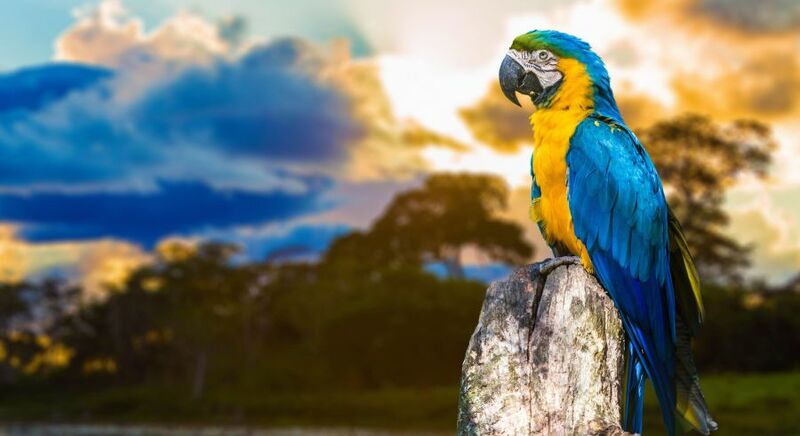 From May to September you have the best opportunity to glimpse the abundant wildlife, which include rare animals such as jaguars, tapirs, anteaters, giant otters and capybaras. The varied fish species are the staple food for the few native inhabitants of this this remote region. The heraldic bird of the the Pantanal is the Jabiru, a large stork that can reach heights of 4.6 ft. It is also a safe haven for the hyacinth macaw. 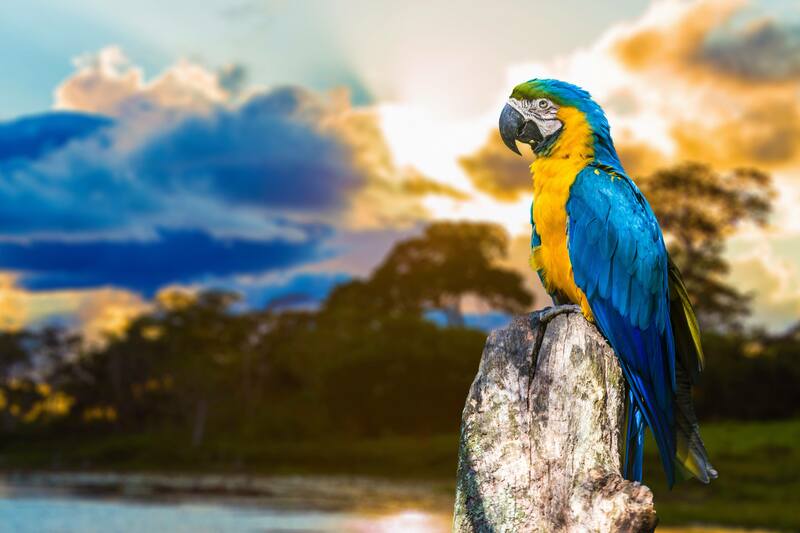 Experience the magic of North Pantanal with Enchanting Travels. Less frequented by visitors, you can expect pristine beauty. Explore the vast landscapes on extended day and night hikes, on kayak excursions or horseback rides. Wake up to the gentle singing of tropical birds, and listen to nature’s melodies. The average temperature is about 24°C throughout the year. Rainy season begins in October and ends in April. Dry season lasts from May to September and is the best time to visit the region, since most of the animals can only be observed in that period. Warm clothing, especially for the cold evenings during dry season.